No stranger to Spiderman cakes, we loved creating this city skyline cake for a comic book loving couple. 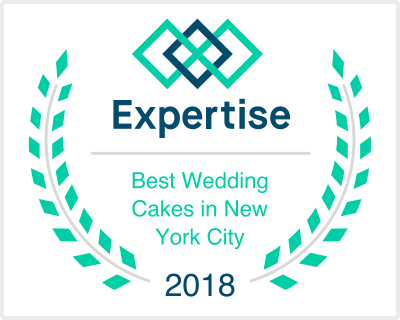 They wanted to tie in their skyline web-bing…err, I mean wedding…invitations with the cake so we literally “wrapped” the city around the bottom tier. This was enjoyed at the reception held at Location 5 Studio in NYC. We were soooo happy with the look of the cake and it came out exactly how we wanted it. THANKS! I love your sense of humor! The city scape around the cake is spectacular! What a great idea! Bravo!